A drive along Route 1 in Saugus offers views of many landmark restaurants. What is not visible is the hidden hunger problem that impacts many children in the Saugus Public Schools. Nearly half of the district’s 2,588 students are eligible for free and reduced-price school meals. Statewide, according to Project Bread, more than 400,000 are eligible. “During the weekend when kids are out of school, those meals disappear, leaving some children without enough to eat,” said Erin McAleer, president of Project Bread. But when Saugus students return to school this month, a new program will help ease that hunger by providing bags of groceries at the end of each week for families in need. With Healthy Students-Healthy Saugus, the city will join more than 30 other Massachusetts communities — including Brockton, Somerville, Peabody, Salem, Watertown, and Weymouth — that provide take-home weekend meals to students. Watertown, with more than one-third of students qualifying for free or reduced-priced lunches, began its “Food for Thought” weekend meals program last year at two elementary schools. Based on need, it will expand to a third elementary school this fall. Dennis Gould of the Saugus United Food Pantry saw an increase in families facing hunger, especially when school was not in session and kids did not have access to free or reduced-priced breakfasts or lunches. Gould reached out to DeRuosi. Businesses, organizations like Rotary, and individuals have donated funds. Church volunteers through the Saugus Faith Community will coordinate and distribute the food. 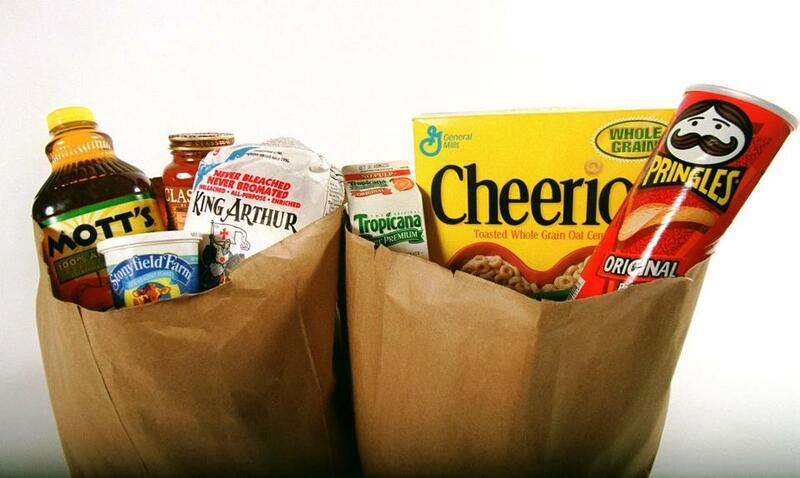 Beginning in mid-September, a different church each week will prepare the bags of nonperishable groceries on Thursdays. The bags will be discreetly distributed to elementary students each Friday. To participate, families fill out a simple form. The Saugus program initially targets elementary students, but may expand to older students based on need. Having students arrive on Monday morning ready to learn is important.